This is a meal that my mom always made growing up and I love it! It is so simple and easy. Only 4 four ingredients! One pan! You can line a baking sheet with aluminum foil to make clean up easier. 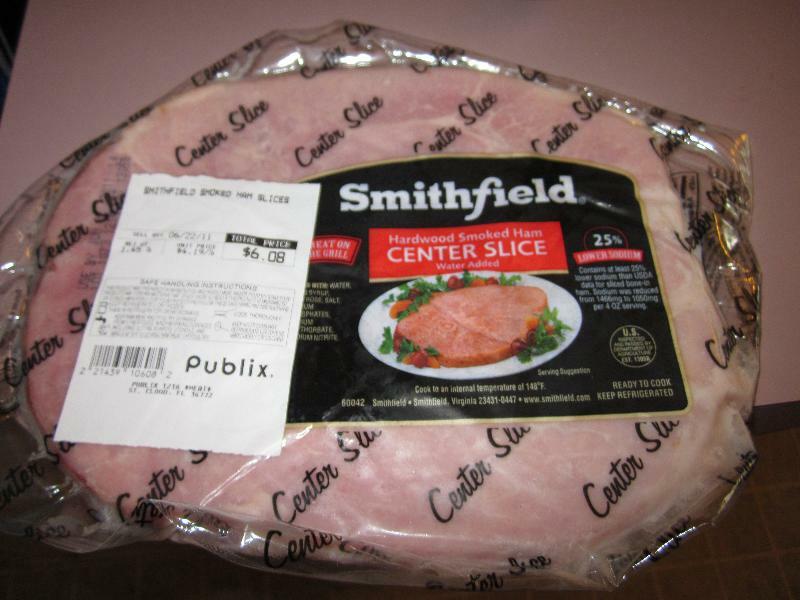 Place the ham steak on the baking sheet. 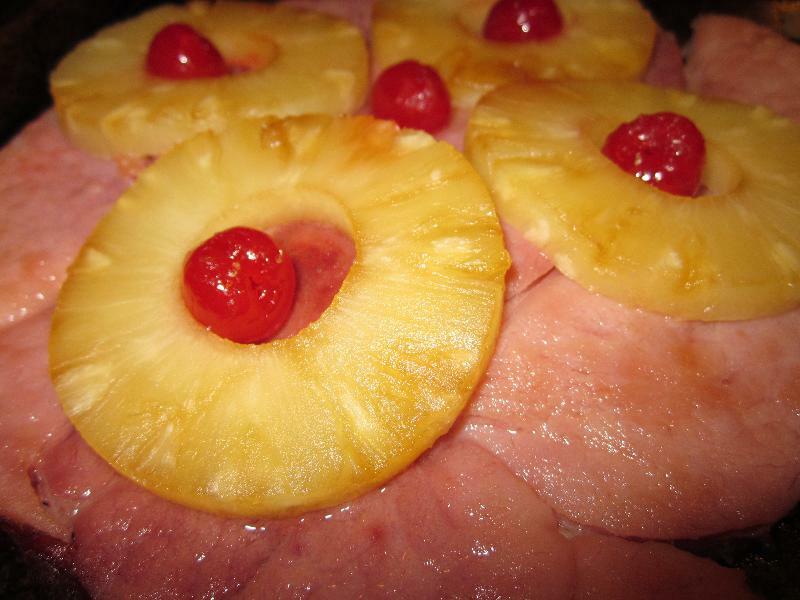 Put the pineapple rings on top of the ham. Next place a cheery in the center of each pineapple ring. 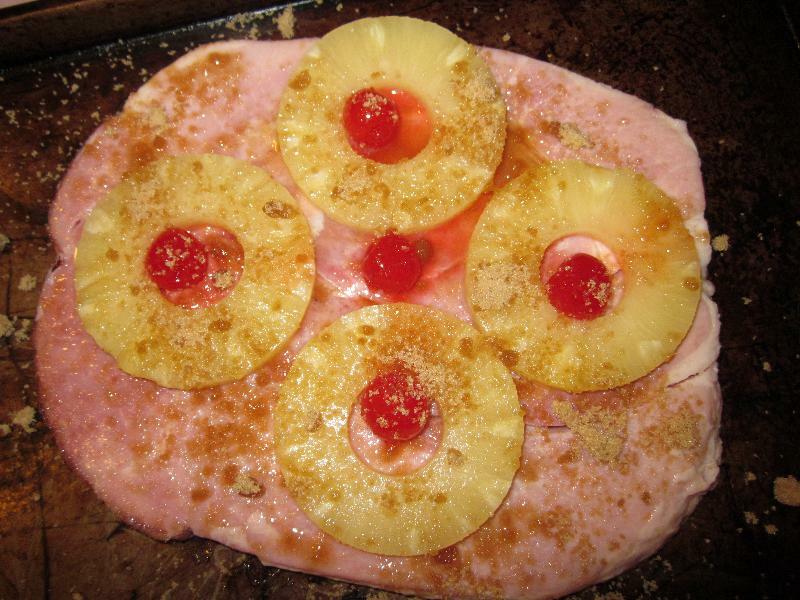 Then sprinkle the whole ham with brown sugar. How much/little is up to you.